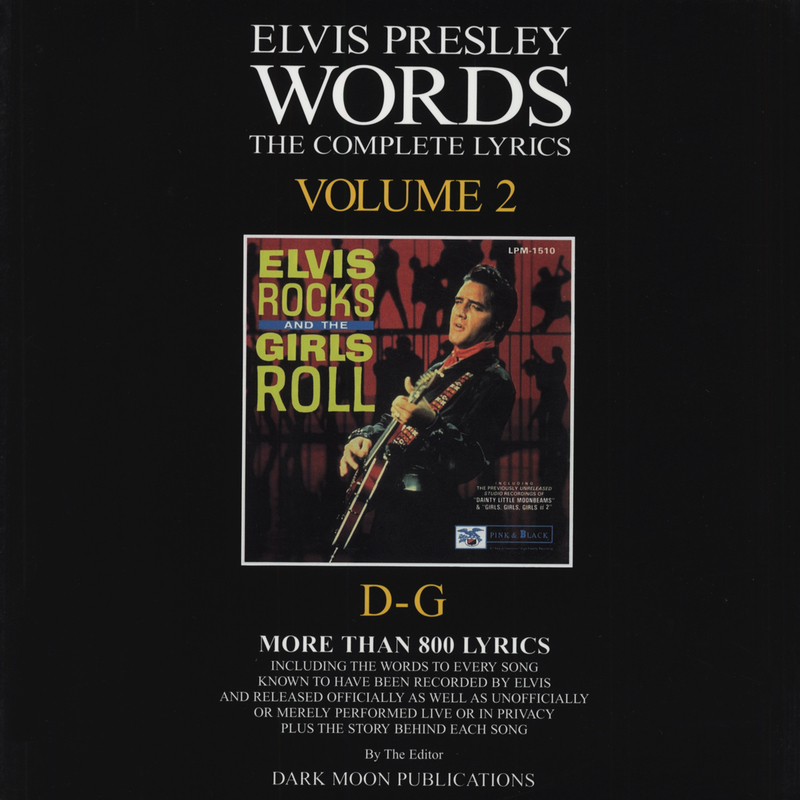 LP sized paperback, English, 40 pages, Part 2 of this lyric collection including the words and a story to every song, known to have been recorded by Elvis Presley and released officially as well as unofficially or merely performed live or in privacy. A 10 Volumes series. 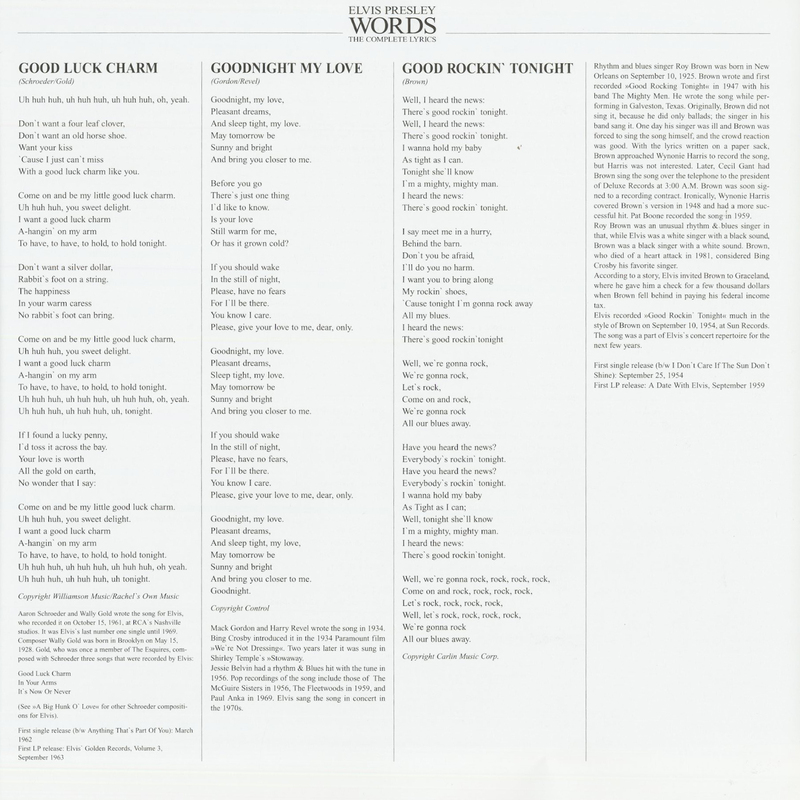 Évaluations de clients pour "Words - The Complete Lyrics D-G"